Begin this fun running game and hopefully you will manage to get some nice high scores with one of the three chicken. The goal of the game is to run with one as fast as you can but just as fast that you can still see the obstacles ahead and jump over them because if you do not the lives you have will soon be lost and you need them greatly. 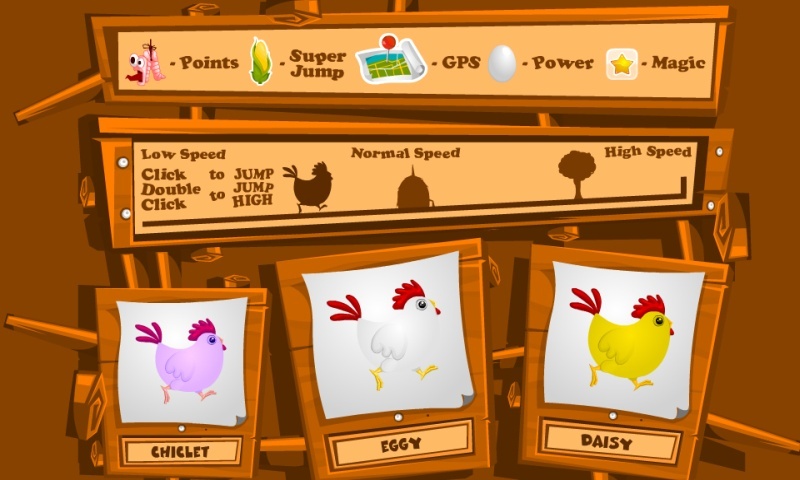 Have fun in this animal skill game and choose one of the three chicken, named Chiclet, Eggy and Daisy. Each one will have a different color and running style so choose wisely. 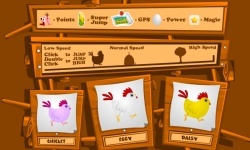 Also you will need to try your best to collect the worms for some score points and there will be more power-ups as well which will allow you to jump higher and also show you the map, thus revealing some future obstacles. 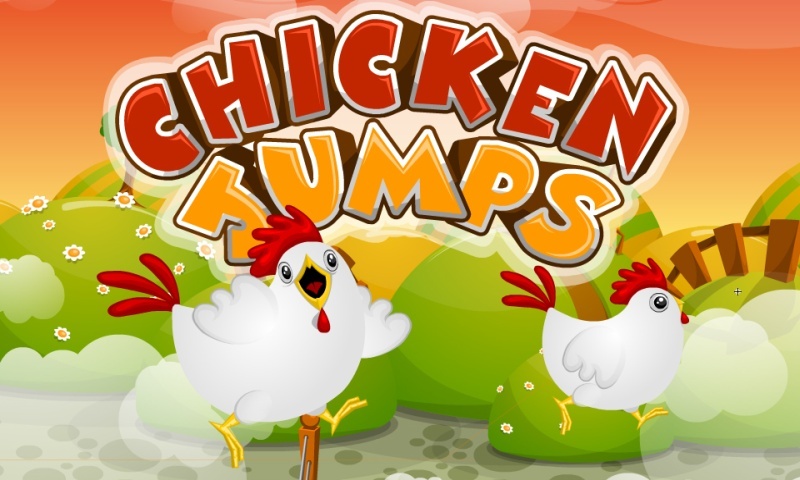 Make sure to share this obstacle course game and you and your friends will definitely have a great time trying your best to beat each other in high scores.